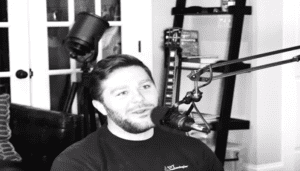 Episode 301: Controltalk Now The Smart Buildings V Cast from Eric Stromquist on Vimeo. 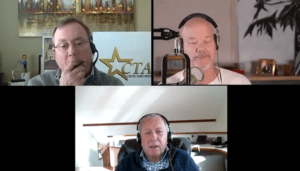 ControlTalk NOW First Interview: Taking the Path of Least Disruption with Ken Sinclair. In one of the most comprehensive editions of Automated Buildings to date, Ken Sinclair has collected sufficient compelling and convincing industry testimony to evince that we are deep in the crux of structural change that will eclipse pneumatic’s yield to DDC, and DDC’s yield computers, and computers’ yield to IoT. Many of the fearful aspects of disruption, in the right mindset, are actually opportunities in wait. ControlTalk NOW with Alper Üzmezler, CEO of BASSG and AnkaLabs. Visit Alper’s websites to learn about the product offerings of BASSG and the exciting prospects of Project SandStar. 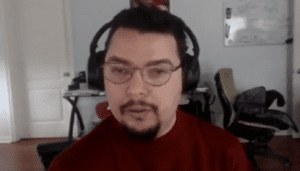 Alper’s site offers a lot of insight and training in what he considers to be the inevitable outcome of our BAS Industry: Open Source and Collaboration. Next Generation Innovation Episode 5: Teamwork For Better Performance. Episode 5 brings Teamwork and Performance to-the-table, for the Smart Buildings and HVAC community. We use a couple good metaphors in Sports and Music for each. First-up is (recently Young Gun inducted) Brent Burrows and Chad Erwin from ENTEK. I performed Project Tracker Training with them and was fortunate to witness their exceptional Teamwork; we explore how they’ve become such a good Team and offer suggestions for you! Next is my Brother, Adam Gorka and Myself! We had just finished our very-first-recording of NGI. Siemens RDS 120 Advanced Cloud Connected Thermostat for Light Commercial and Residential Applications. 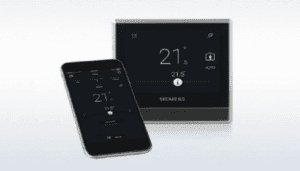 The Siemens RDS 120 Smart Thermostat is an Advanced Cloud Connected Thermostat that offers a package of strong benefits. It figures out the perfect room climate and guarantees optimized energy consumption in your home. In addition to achieving these goals, the Smart Thermostat gives you many other benefits, proving that it fully UNDERSTANDS and SATISFIES your needs. 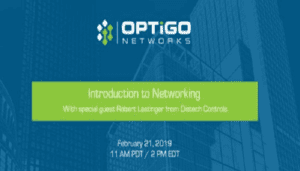 OPTIGO Networks Hosts Introduction to Networking with Distech Controls — Feb 21, 2019, 11:00 AM PDT/ 2:00PM EST. Do you struggle to communicate with your IT colleagues? Do they use concepts and language that go right over your head? OPTIGO is hosting an introduction to networking with Distech Controls that will get you caught up on the essentials of IT speak. Register for our webinar to find out about key terms and concepts. We’ll cover the basics of networking including how VLANs work, the role of IP routing, and the importance of subnets. 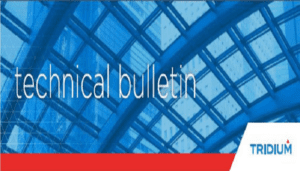 Niagara Cyber Security Statement: Reviewing Guidelines for Niagara Framework Cyber Security. Dear Niagara Community Member, over the past few months, there has been some well-needed government and media discussion related to the cyber-security posture of control systems. Cyber-threat watchers note that there continues to be a significant number of control systems configured in an insecure manner, and most concerning, exposed on the Internet. Our goal is to have zero Niagara Framework® deployments that fit these descriptions. EasyIO World Conference in Amsterdam May 19th-May 21st, 2019! EasyIO’s World Conference will be held May 19th through May 21st! This year the location for our Global event is Amsterdam. The conference is a great opportunity to meet the EasyIO team and your colleagues from the BMS branch. 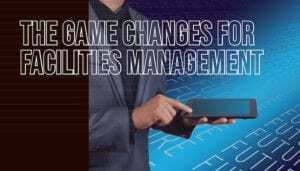 There will be interesting presentations about game changing new products for building automation and energy management. and Advances in artificial in intelligence and machine learning. 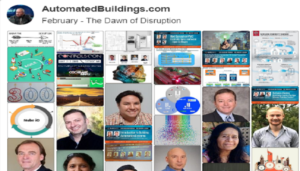 Ken Sinclair’s Automated Buildings’ February, 2019 Editorial Theme: “The Dawn of Disruption.” Recently returned from the 2019 AHR EXPO and wholly inspired by peeks into the future and the Dawn of Disruption, Ken Sinclair, owner and editor of Automated Buildings, believes the time has come for us to prepare and build elegant mindful bridges between the throes of disruption, the limits of innovation, and the inevitability of the new reality.